In his current position as Vice President of Legal Services for Caravan Health, Anthony acts as a strategic business partner by providing advice and oversight in numerous areas – including ethics, privacy, transparency, data collections and storage, corporate governance, contracts, and regulatory and governmental changes and compliance. 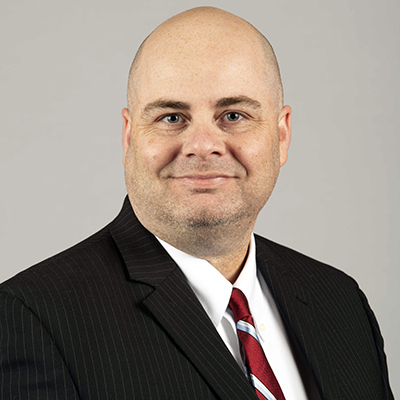 He has been a licensed attorney in both Kansas and Missouri for 14 years. In addition to his responsibilities with Caravan, Anthony serves as the Chair for both the Missouri Bar’s Corporate In-House Counsel Committee and the Kansas City Missouri Bar Association’s Corporate House Counsel Committee. Anthony also serves as a member of the Missouri Bar Annual Meeting/Judicial Conference Planning Committee, and the Missouri Bar’s Legislative Review Subcommittee. He is also a nationally recognized speaker and panelist on topics such as cybersecurity, ethics, cross-border data transfer, attorney-client privilege (both domestic and international), and more generally, ‘things that keep lawyers up at night’.